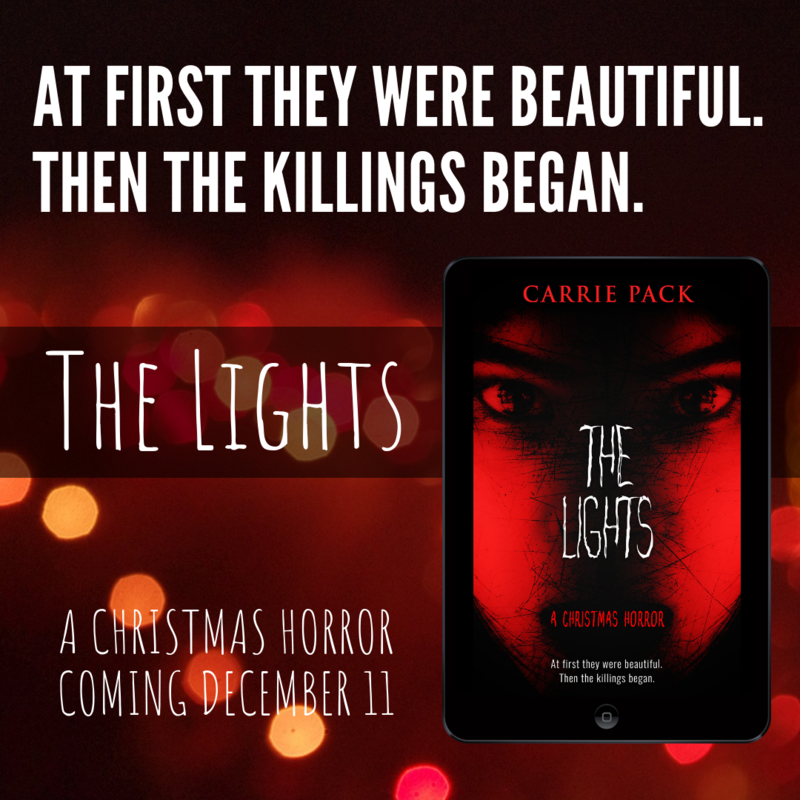 About The Lights — It’s winter break and Molly Monroe is content to enjoy her town’s annual Festival of Lights with her girlfriend Chelsea at her side. But almost immediately after the lights go up, the town’s children begin to act strangely, especially Molly’s own brother, Roger. When their next-door neighbors are killed in a grisly double homicide, Molly begins to suspect the incidents are linked. Now she must convince her parents and the rest of the town to take down the Christmas lights before everyone gets killed. I went to the patio door and flipped on the lights. Our backyard was awash in brightness, but I couldn’t see much beyond the swing set Dad had built for me when I was Roger’s age. I pressed myself up against the glass and squinted to try to see into the Van Atters’ backyard. It was pitch black. That was odd. Usually they left their lights on until they went to bed around eleven. As I watched, the screaming continued, but I was too paralyzed with fear to investigate. I pulled out my phone and began to dial 911, but I didn’t hit send. I held my breath with my thumb over the button, waiting for a sign that told me it was okay to panic. And that’s when I saw her. A little girl with two perfect, dark braids framing her face stood as still as a statue in front of the swing set. I exhaled a shaky breath and waited for her to do something. As I studied the girl, I noticed her fuchsia dress and pale face were flecked with what looked like paint. Her gaze was fixed on the Van Atters’ house but she still hadn’t moved. Her bare feet were covered in mud up to her ankles. She had to be freezing. I reached for the door to open it. Perhaps she had been the one screaming. In her right hand she gripped a large kitchen knife. Sign up for my newsletter and get updates, exclusives and more!